Even when compared to some of the best beaches on the West Coast, San Diego’s stand out. They’re beautiful, full of things to do, and apparently, they have some of the cleanest water around. According to Heal the Bay’s annual Beach Report Card, 99% of the beaches in San Diego County earned a good grade for their water quality. 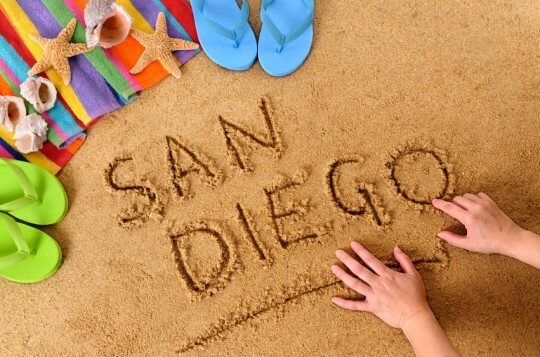 When compared to the rest of the beaches in California, the San Diego region had one of the best overall ratings. The scores for San Diego’s beaches were higher than those for both Orange and Los Angeles counties, which were rated at 93% and 84% respectively. The average for California was 93%. The assessment, which includes more than 600 beaches along the West Coast, assigns letter grades for a beach’s wet and dry seasons. The report is widely recognized as the definitive source for beach water quality in California, Oregon, and Washington. The grades for San Diego’s beaches were determined by using water quality data from the cities of Oceanside and San Diego, the Encina Wastewater Authority, the San Elijo Joint Powers Authority, and the county Department of Environmental Health. Scores are based on the levels of certain types of bacteria in the water, like coliform and enterococcus, which have been shown to be good indicators of health risks. When scoring sites, Heal the Bay assigns each beach 100 points at the beginning of the monitoring period. Points are deducted when bacteria levels exceed the acceptable amount, with reductions based on the both the frequency and severity of the contamination. Things like sewage spills and the presence of lead in the water are also considered when grading a beach. Although studying the bacterial levels in water can allow researchers to provide accurate warnings of potential disease risks, it doesn’t account for other potential contaminates. There are a variety of other toxins and chemicals in beach water that may contribute to medical problems, but they aren’t included in the Beach Report Card because their health risks are less established within the scientific community. Eleven beaches in San Diego County received an A+ grade for both their wet and dry seasons. A beach in Carlsbad, the one at Batiquitos Lagoon, even earned a place on the Beach Report Card’s honor roll. Perhaps even more importantly, San Diego’s beaches saw a noticeable rise in their scores when compared to previous Beach Report Card ratings. In the past five years or so, San Diego’s beaches have consistently shown improvement. Not all of the progress, however, is due to advocacy groups or government action. Much of the improvement has come from abnormally low levels of rainfall, which has resulted in less runoff going into the ocean. Nonetheless, Alamillo still highlighted the efforts of both local government and advocacy groups. He also said that public awareness regarding the dangers of runoff pollution has made an impact.